We believe that the Holy Bible, as originally written, was verbally inspired and the product of Spirit-controlled men, and therefore has truth without any admixture of error for its matter. We believe the Bible to be the true center of Christian union and the supreme standard and authority by which all human conduct, creeds, and opinions shall be tried; that the scripture is sufficient for life and godliness 2 Tim. 3:16-17; 2 Peter 2:3-4; 2 Peter 1:19-21; Heb. 4:12; John 8:31-32. We believe there is one, and only one, living and true God, an infinite, intelligent Spirit, the Maker and Supreme Ruler of heaven and earth; inexpressively glorious in holiness and worthy of all possible honor, confidence and love; that in the unity of the Godhead there are three persons: the Father, the Son, and the Holy Ghost, equal in every divine perfection, and executing distinct, but harmonious offices in the great work of redemption. Ex. 20:2-3; 1 Cor. 8:6; Rev. 4:11; 1 John 5:7. We believe the Holy Spirit is a divine person, equal with God the Father and God the Son, and of the same nature; that He was active in the creation; restrains the evil one until God’s purpose is fulfilled; that He convicts of sin, of righteousness, and of judgment; that He bears witness to the truth of the gospel in preaching and testimony; that He is the agent in the new birth; that He seals, endues, guides, teaches, witnesses, sanctifies and helps the believer. John 14:16-17; Matt. 28:19; Heb. 9:15; John 14:26; Luke 1:35; Gen. 1:1-3; John 16:8-11; Acts 5:30-32; John 3:5-6; Eph. 1:13-14; Mark 1:8; John 1:33; Acts 11:16; Luke 24:49; Rom. 8:14; Rom. 8:16,26-27. We believe in the personality of Satan, that he is the unholy god of this age and the author of all the powers of darkness and is destined to the judgment of an eternal justice in the lake of fire. Matt. 4:1-3; 2 Cor. 4:4; Rev. 20:10. We accept the Genesis account of creation and believe that man came by direct creation of God, and not by evolution. Gen. 1 and 2; Col. 1:16-17; John 1:3. We believe that man was created in innocence under the law of his Maker, but by voluntary transgression fell from his sinless and happy state. In consequence of which all mankind are now sinners, not only by constraint, but of choice, and therefore, under just condemnation without defense or excuse. Gen. 3:1-6; 3:24; Rom. 5:19; Rom. 5:12; Rom. 5:10-19; Rom. 1:18; Rom. 1:32. We believe that Jesus was begotten of the Holy Ghost in a miraculous manner; born of Mary, a virgin, as no other man was ever born or can be born of woman, and that He is both the Son of God and God, the Son. Gen. 3:15; Isa. 7:15; Matt. 1:18,25; Luke 1:35; John 1:14. We believe that the salvation of sinners is wholly of grace through the mediatorial offices of the Son of God, Who by the appointment of the Father, freely took upon Him our nature, yet without sin, honored the divine law by His personal obedience, and by His death made a full and vicarious atonement for our sins; that His atonement consisted not in setting us an example by His death as a martyr, but was a voluntary substitution of Himself in the sinner’s place–the Just dying for the unjust–Christ, the Lord, bearing our sins in His own body on the tree, that having risen from the dead, He is now enthroned in heaven, and uniting in His wonderful Person the tenderest sympathies with divine perfection. He is in every way qualified to be a suitable, a compassionate and an all-sufficient Savior. Eph. 2:8; Acts 15:11; Rom. 3:24; John 3:16; Matt. 18:11; Phil. 2:7; Heb. 2:14; Isa. 53:4-7; Rom. 3:25; 1 John 4:10; 1 Cor.15:3; 2 Cor. 5:21. We believe that in order to be saved sinners must be born again; that the new birth is a new creation in Christ Jesus; that it is instantaneous and not a process; that in the new birth the one dead in trespasses and in sins is made a partaker of the divine nature and receives eternal life, the free gift of God; that the new creation is brought about in a manner above our comprehension, solely by the power of the Holy Spirit in connection with divine truth, so as to secure our voluntary obedience to the gospel; that its proper evidence appears in the holy fruits of repentance and faith and newness of life. John 3:3; 2 Cor. 5:17; 1 John 5:1; John 3:6-7; Acts 16:30-33; 2 Peter 1:4; Rom. 6:23; Eph. 2:1; 2 Cor. 5:19; Col. 2:13; John 3:8. That justification includes the pardon of sin, and the gift of eternal life on principles of righteousness. That it is bestowed not in consideration of any works of righteousness that we have done, but solely through faith in the Redeemer’s blood. His righteousness is imputed to us. Acts 13:31; Isa. 53:11; Zech. 13:1; Rom. 5:9; Rom. 5:1; Rom. 8:1. We believe that faith in the Lord Jesus Christ is the only condition of salvation. Acts 16:31; John14:6. The way of salvation is by faith. Romans 3:10; 3:23; 5:12; 6:23; 5:8; 10:9-10; 10:13. We believe that a local church is a congregation of born-again believers associated by a covenant of faith and fellowship of the gospel; observing the ordinances of Christ; governed by His laws; and exercising the gifts, rights and privileges invested in them by His work; that its officers are pastors, elders and deacons, whose qualifications, claims and duties are clearly defined in the Scriptures. We believe the true mission of the church is the faithful witnessing of Christ to all men as we have opportunity. We believe that the true church consists of all believers in the Lord Jesus Christ and is the Bride of Christ which will be raptured or caught up to meet the Lord in the air at His return, Christ being the Bridegroom. Eph. 5:23-32; Acts 20:28; Matt. 16:18-19; Eph. 4:10-16. We believe that it is important that the parents train the child in the way he should go. We believe it is scriptural and a Christian privilege to bless infants as recorded in Mark 10:13-16. Furthermore, we believe that if a child is truly born again and shows fruits of repentance, he will count it a joy to follow his conversion with baptism, thereby publicly showing his obedience to the Lord as found in John 14:15. We believe that many New Testament scriptures such as Mark 16:15; Acts 2:38; Acts 2:41; 8:12,16,36-39; 10:47-48; 16:14-15,33,34; 18:8; 19:5; 22:16; 1 Cor. 10:2 plainly reveal that baptism follows conversion. We further believe that all new converts who are truly born again should be baptized by immersion as the New Testament scriptures reveal it in Matt. 3:6-7,11,16; 21:25; 28:19; Mark 1:4-5,8-9; 10:38-39; John 3:23-26; 10:40; Acts 8:38; Rom. 6:3-4; Col. 2:12; Gal.3:27; 1 Peter 3:21. We believe that the Lord’s supper was divinely instituted by our Lord Jesus Christ and is to be commemorated by His Church according to the instructions given in the Word of God (Matt.26:26-30; Mark 14:22-25; Luke 22:17-20; 1 Cor. 11:23-25). It is celebrated in remembrance of His death until He comes. We believe any truly born-again believer who has examined himself and is in fellowship with God and with his fellow brethren is entitled to participate in its celebration. With regard to the elements used in the supper, we do not believe in transubstantiation nor in consubstantiation. We believe the bread and wine are only symbols that serve as a memorial of the body and blood of Christ in His sacrifice on the cross. We believe that all who are truly born again are kept by God and the Father for Jesus Christ. Phil. 1:6; John 10:28-29; Rom. 8:35-39; Jude 1. We believe marriage is the joining together of one man and one woman in a covenant union instituted and ordained by God Gen. 2:23-24. The purpose of this union is to glorify God, demonstrate the relationship between Christ and the Church, provide companionship, and perpetuate the human race Eph. 5:22-23; Gen. 1:26-27; 2:18-25. We believe that the sanctification of the believer includes adherence to the practice of moral purity, that sexual intimacy is a wonderful gift of God that is only to be expressed between one man and one woman (as genetically defined and originally born through God’s Sovereign plan for each individual) Matt. 19:4-6; 1 Cor. 7:3-5; Heb13:4. Therefore, we believe that any other form of sexual intimacy is both immoral and a perversion of God’s design and gift Lev. 18:1-30; Prov.6:32; 1 Cor. 6:18; Rom. 1:26-27; 1 Thess. 4:3-8. We believe that there is a radical and essential difference between the righteous and the wicked; that only those who through faith are justified in the name of the Lord Jesus Christ, and sanctified by the Spirit of our God, are truly righteous in His esteem; while such as continue in impenitence and unbelief are in His sight wicked and under the curse; and this distinction holds among men and woman both in and after death, in the everlasting felicity of the saved and everlasting conscious suffering of the lost. Mal. 3:18; Gen. 18:23; Rom. 6:17-18; 1 John 5:19; Rom. 7:6; 6:23; 14:32; Luke 6:25; Matt. 25:34-46; John 8:21. We believe that civil government is of divine appointment, for the interests and good order of human society; that magistrates are to be prayed for, conscientiously honored, and obeyed; except in things opposed to the will of our Lord Jesus Christ Who is the only Lord of the conscience and coming King. Matt. 22:21; Acts 5:29; Acts 4:19-20; Dan. 3:17-8. The bodily resurrection-Matt. 28:6-7; Luke 24:39; John 20:27; 1 Cor. 15:4; Mark 16:6; Luke 24:2-6. The ascension-Acts 1:9-11; Luke 24:51; Mark 16:19; Rev.3:21; Heb.12:2. The second coming-John 14:3; Acts 1:11; 1 Thess. 4:16; James 5:8; Heb.9:28. The resurrection of the righteous dead-1 Thess. 4:13-18; 1 Cor. 15:42-44,52. The change of the living in Christ-1 Cor. 15:51,52; 1 Thess. 4:13-18. The throne of David-Luke 1:32; Isa. 9:6,7; Acts 2:29,30. The Millennial Reign-Rev. 20:16; 1 Cor.15:25; Isa. 32:1; Isa.11:4,5; Ps 72:8; Rev.20:14. We believe that the baptism of the Holy Spirit occurs at the point of salvation when one is baptized into the body of Christ, I Cor. 12:12-14 and that the filling of the Spirit is evidenced by the manifestation of the character of Christ in the life of the believer and a full obedience to His will, Eph. 5:18, Gal. 5:16-23. He distributes gifts to all believers as He wills. These are given to edify and equip the church for the work of ministry, Romans 12:6-8; I Cor. 12:7; Eph. 4:11-12. Regarding the gift of tongues and other of the more miraculous gifts, we do not believe them to be an essential evidence of the presence of the Holy Spirit or of greater spirituality, I Cor. 1:5; 3:1-3. Regarding apostleship, we believe that God gave the church apostles that laid the foundation for the church, Eph. 2:20 and that such an office or position as theirs is no longer to be had. Sharin’ Hearts Ministry Inc. believes that all human life is sacred and created by God in His image. Human life is of inestimable worth in all its dimensions, including pre-born babies, the aged, the physically or mentally challenged, and every other stage or condition from conception through natural death. We are therefore called to defend, protect, and value all human, life Ps. 139. Sharin’ Hearts Ministry Inc. statement of faith does not exhaust the extent of our beliefs. The Bible itself as the inspired and infallible word of God speaks with final authority concerning truth, morality, and the proper conduct of mankind. The Word of God is the sole and final source of all that we believe. 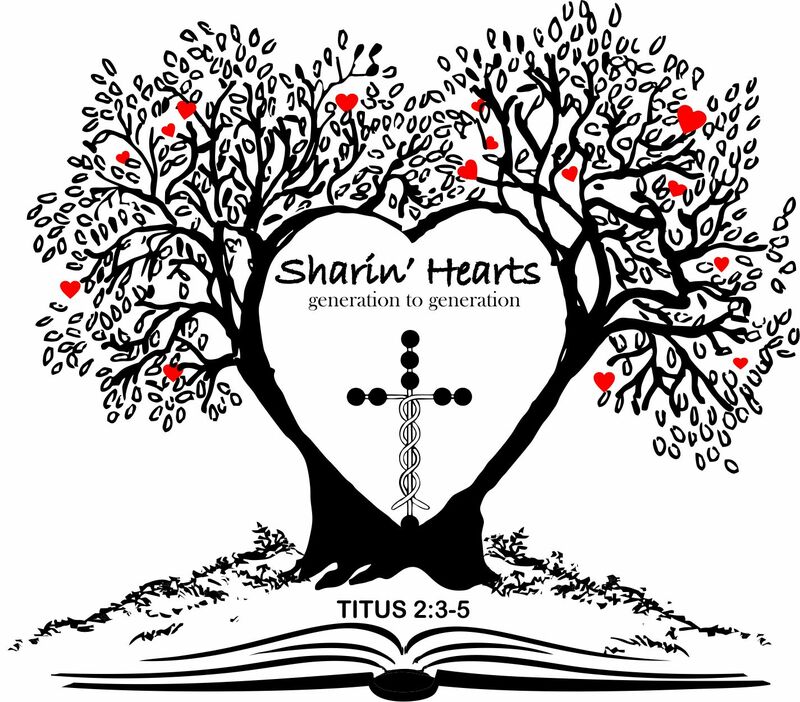 For purposes of Sharin’ Hearts Ministry’s faith, doctrine, practice, policy, and discipline, the Board of Directors of Sharin’ Hearts Ministry Inc. is the final interpretive authority on the Bible’s meaning and application.